Michigan Misdemeanor Attorneys | Misdemeanor Charges | Murray A. Duncan, Jr. The experienced misdemeanor attorneys at Murray Duncan Law can help you fight a misdemeanor charge against you or a family member. While a misdemeanor charge may seem like a minor offense, it can often lead to jail time, court costs and additional legal problems if not dealt with correctly. A misdemeanor can be defined as a minor offense — such as a traffic violation — and usually focuses on charges between petty offenses and felonies. Misdemeanor punishments can be fines or jail time served at a local jail for less than one year. If you have been charged with a misdemeanor in Michigan and you wish to contest the charges, you should seek an experienced misdemeanor attorney. By and large, you will either be arrested for a misdemeanor or sent a notice to appear at district court. The prosecution will proceed based upon the police report with no preliminary examination and the information on the police report may be false or misleading. A misdemeanor is a crime for which the maximum punishment is one year in county jail. Put simply, misdemeanor offenses do not carry the threat of prison. They range from low-level misdemeanors — such as trespassing or retail fraud — to crimes of violence including domestic violence or aggravated assault. Generally, you will either be arrested for a misdemeanor or sent a notice to appear at district court. On misdemeanor offenses, there is no preliminary examination; so many times the prosecution will proceed on the basis of the police report alone. This can be extraordinarily frustrating, especially if you believe the report is false or misleading. Your attorney may be the only person fighting for your position. If you have been sent a notice to appear, investigated or arrested for a misdemeanor, our lawyers will be glad to help. In short, both felony and misdemeanor charges can take away your freedom, and can be expensive, stressful and embarrassing for your family and you. If you want to protect yourself, and need a misdemeanor attorney in Michigan who will stand up and fight, we will be glad to talk to you. 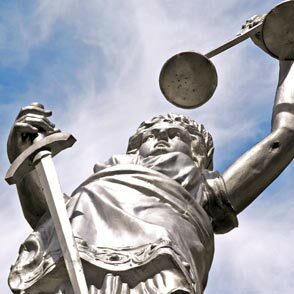 Our misdemeanor attorneys have the experience, desire and skill to handle your misdemeanor charge. A misdemeanor charge can be expensive and stressful for you and your family. Protect your freedom and your finances. 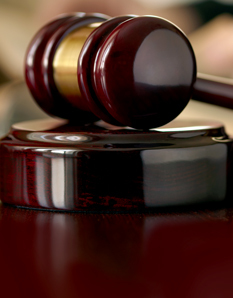 Attorney Murray A. Duncan has the experience in criminal law to defend your rights. Contact misdemeanor attorney Murray A. Duncan Jr. immediately if you are facing minor criminal charges. You initial phone consultation is always free so call our office today at 734.941.5025.